Karl Plattner, the Austrian ski racer who became long-time chief of the Hunter Mountain ski school, died Oct. 28 at age 91. A native of Innsbruck, Plattner competed for the Austrian National Ski Team before emigrating to North America in 1954. After teaching stints at Mt. Tremblant and Boyne Mountain (where one of his students was then congressman Gerald Ford), Plattner was recruited by Broadway impresario Jimmy Hammerstein to head up the ski school at the new ski area he was developing in the Catskill Mountains. The initial project was a financial failure and Plattner accepted a job offer at Vail, scheduled to open in the fall of 1962. To keep him, Hunter’s owners Orville and Izzy Slutzky offered Plattner the ski school. He operated that ski school for the next 33 years. The combination of proximity to New York City, a state of the art top-to-bottom snowmaking system, and an show-business marketing program made Hunter into a major ski center. Plattner employed as many as 250 instructors. A corps of VIP specialists, outfitted in one piece red ski suits, took care of the lengthy list of celebrities who came to ski with Plattner. He maintained his Austrian connections, regularly hosting racers when they came to North America to compete. In the 1970s he was one of the early boosters of the US Pro Ski Tour. 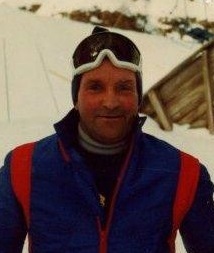 In 1989, he was knighted by the Austrian government for his contributions to skiing.